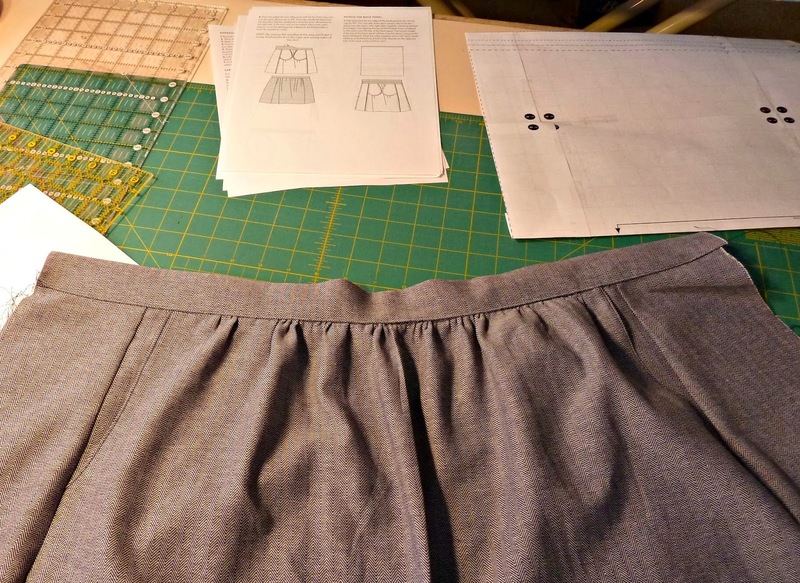 Growing Home's Flirt Skirt has been my go to pattern but ever since taking a class with the lovely Liesl Gibson at the Philly Sew Down I've wanted to try her Everyday Skirt pattern. The designs are fairly similar but Liesl's is a bit more polished. I picked up this adorable Herringbone Chambray at Gather Here last weekend and paired it with this amazing Liberty print I picked up on my NYC fabric crawl at Purl Soho. 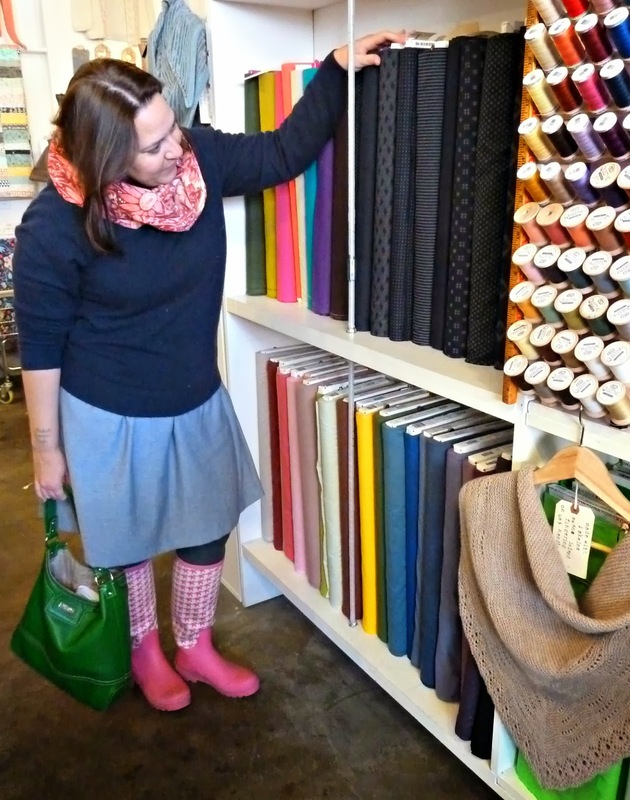 I bought the downloadable pattern from Pink Chalk Fabrics. It was a bit annoying having to print 33 pages and tape them together but I probably spent more time complaining about it than actually doing it and the instant gratification factor is huge. It was snowing again so driving to Quilter's Way wasn't going to happen. The pattern is clearly written and easy to follow. 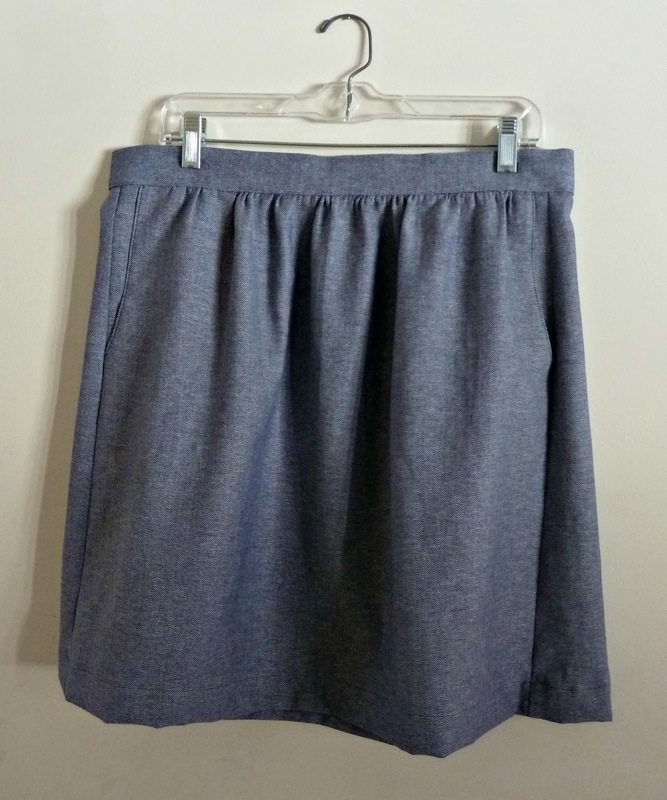 I made the size Large but cut the hem line at X-Small. I'm only 5' 2" so this was the perfect length! 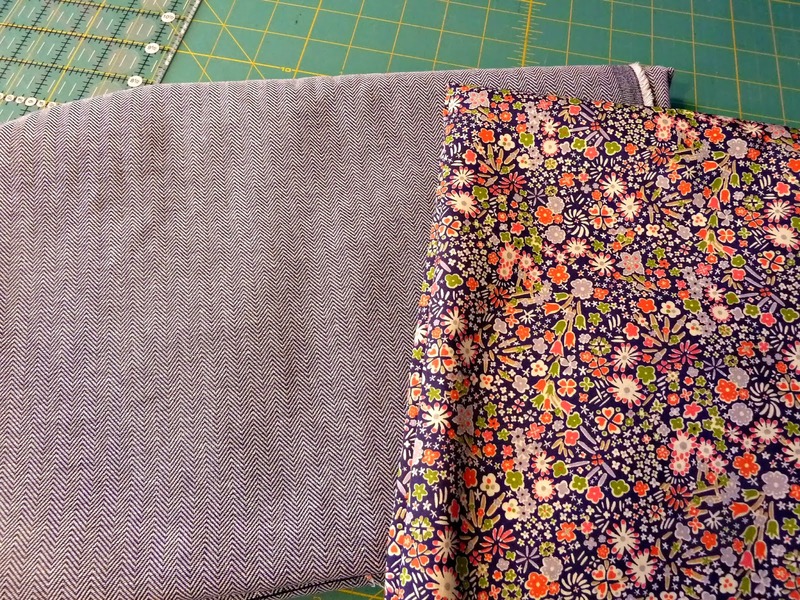 I love the pockets though adding the side panels requires more fabric. I'm on the fence about the double row of elastic in the back. I definitely prefer the gathered waist band in the front but next time will probably just use a single piece of 1 1/2" elastic. It looks great! I'm so in awe of you and everyone else who makes clothes. The thought that after all that work it wouldn't fit or look good would kill me. 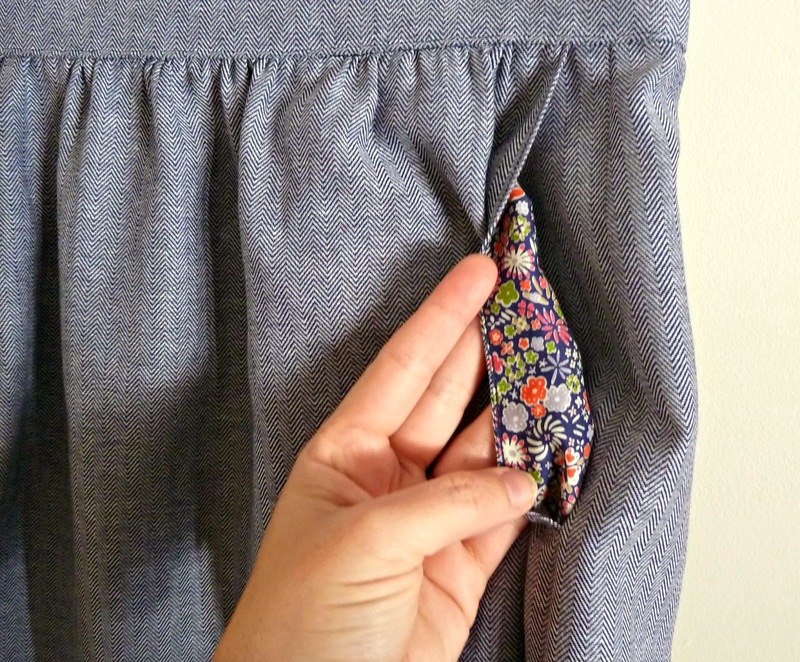 Great idea to make the hem line at the XS size. I just bought the Staple Dress pattern and will have to remember to do that since I'm vertically challenged.